Getting behind the wheel of a new car that is all yours is an exciting feeling, but there’s a lot that goes into the shopping and financing processes. Finding the right vehicle for you takes some research in order to make sure it has everything you want. Acura of Limerick offers a great selection of pre-owned and new Acura vehicles, ensuring numerous choices to fit the needs of all driver types. The expert staff at our Acura dealership near Philadelphia, PA can help guide you to a new car that seems like it was made just for you. Modern technology has truly changed the game for car shopping. Right here on our website, we offer a slew of tools that assists you in your search, including a trade-in estimator, payment calculator, and of course, our online inventory. The search for your new car can start right now by looking through our stock of Acura models for sale. Consider carefully what your needs are, options you would like, and what your budget is. Our online search tool makes it easy to narrow down your search by selecting a specific price range, body type, color, and even fuel type. Once your results are pulled up on your screen, you’re able to browse interior and exterior photos, read the list of features it comes with, and even compare a few models if you’re stuck between two or three. Of course, the only way to know if you’ve found your next car is to get in the driver’s seat and take it for a spin here at our Acura car dealership. When you go for a test drive, you get to experience the responsiveness of the acceleration, how the handling feels, and the overall sense for how you would enjoy driving it on a daily basis. Be sure to pay attention to how it feels when you adjust your seat, check out the infotainment features, and bring along friends or family members to see what feedback they have. You could even bring along the whole family in the Acura MDX, a spacious and refined three-row SUV. There’s also no doubt you’ll be hooked when you experience the exciting performance and luxurious interior of the Acura TLX, a midsize sedan that makes everyday commuting feel not so everyday. 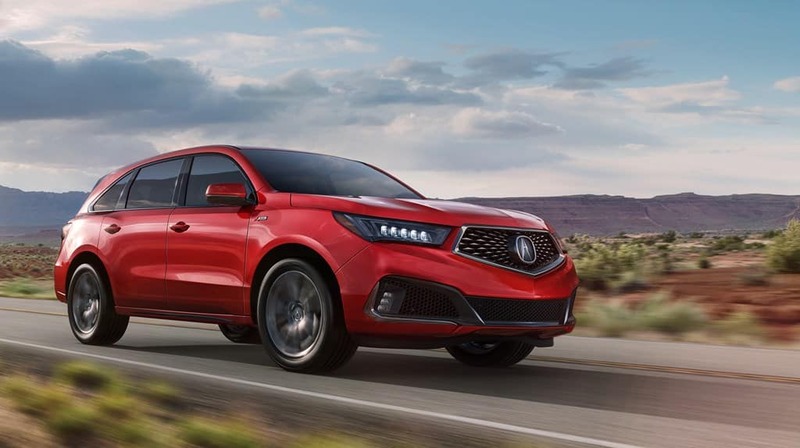 Don’t hesitate to contact our Acura dealership near King of Prussia, PA today to learn more about our exciting inventory and available specials. When you visit, our helpful team will be happy to guide you through financing an Acura and get you set up with a test drive. We hope to see you on our lot soon!